First impressions matter in both social media and print. Canva is a powerful web tool that empowers its users to design beautiful graphics with an attention-grabbing impact. 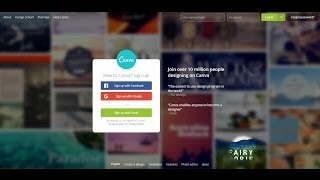 In this video, Canva is used to make a slide for advertising an event. Teachers may use Canva for their own websites or have their students use it to demonstrate their learning (for example, requiring students to make thematic digital posters). Adobe Photoshop CC Classroom in a Book (2015 release) Creating Social Media Graphics + Free Graphic StockTrial!